On Wednesday, the Year 2 children brought an adult into class for our Showcase. 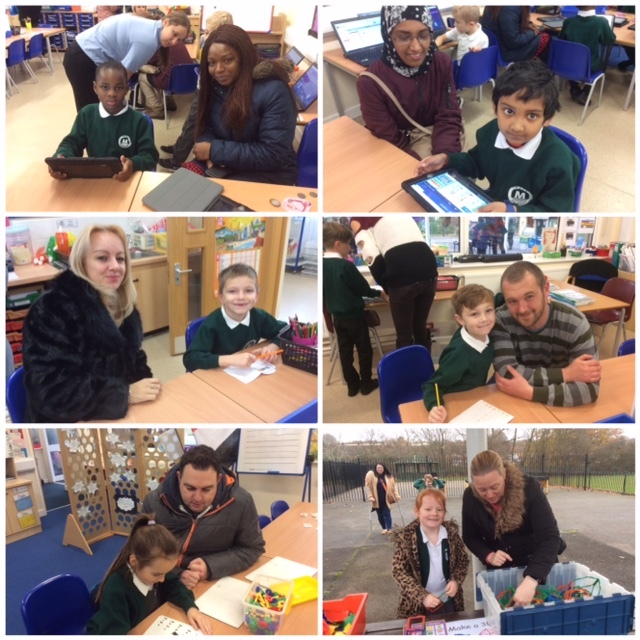 It was great to see so many adults able to make it and the children were thrilled to show off their classes. 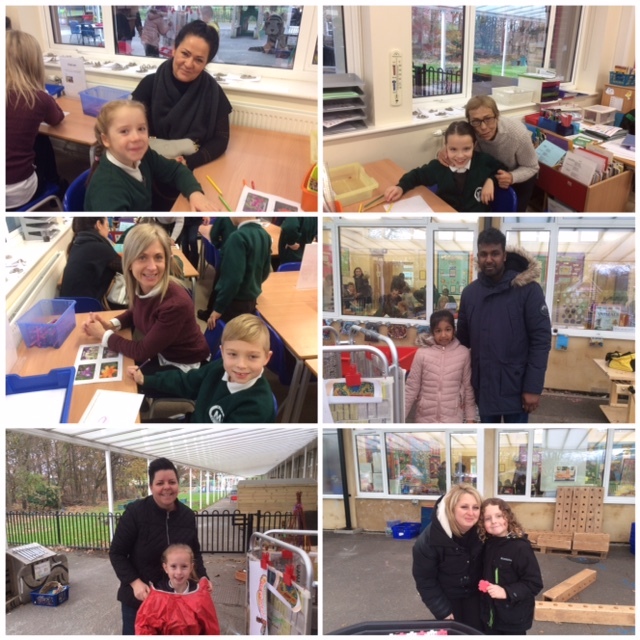 The adults also completed some of the children's jobs with them and explored our self-led learning environment. This approach to learning is helping the children develop resilience, reciprocity, resourcefulness and the ability to reflect on their learning. When they are not working with an adult they are developing the life skills to enable them to learn independently. Our environment also helps them consolidate work they have carried out with an adult so it deepens their understanding. It was lovely to see the smiles on the children's faces. The children said they would love to do this again so the adults could help them complete their jobs. The Mead School Council representatives are currently working on a healthy lunch box project in conjunction with the Harold Hill Council Alliance. After a discussion about which food would be suitable to include in the box, the children set to work creating their choices from modelling dough. Ham sandwiches with brown bread, fruit kebabs, melon, olives and bottles of water were among some of the choices made by the children. Their creations were 'good enough to eat!'. What would you like to put in your healthy lunch box? Here are the spellings for Year 4 this week. The children will have their test on Friday 8th December 2017. A massive well done to 2 of our pupils from Palau class. Ava Paris has just received her white belt- yellow tag for Taekwondo. She also received a beautiful certificate which she is holding in the picture. Alongside her is Yanis Ruzibaev who has just got his red belt in Karate. I'm sure you'll agree we have some very talented 5 year olds at Mead. 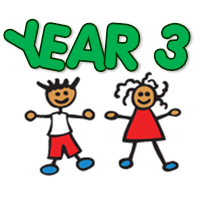 Please be reminded that Year 3 are holding their showcase this afternoon in the main KS2 hall at 2-2.45pm. We invite all parents and carers to come along where your child will show you around everything they have been learning so far this year. Please come and join in with the fun activities we have on offer. You are welcome to take your child home after the showcase but please be reminded that children in other year groups will be collected at normal times. Thankyou for your support. We look forward to seeing you this afternoon! We invite you to come along to our showcase afternoon next week on Thursday 7th December in the Year 1 classrooms. 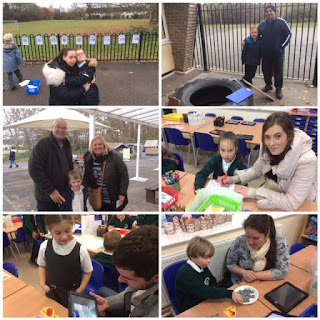 Please arrive at 2.00-3.00pm where your child will be able to show you around everything they have been learning. Please feel free to get involved in the activities and take part in some learning too! You will be able to take your child home once you have finished looking around but please be aware that children in other classes will not be allowed to go home until normal finishing time. Well done to Layla-Mai and Jessie Eaton who have just joined Phoenix Blues Twirlers, majorettes group. They are both practising hard as they are looking forward to taking part in their first competition this weekend. Good Luck girls! 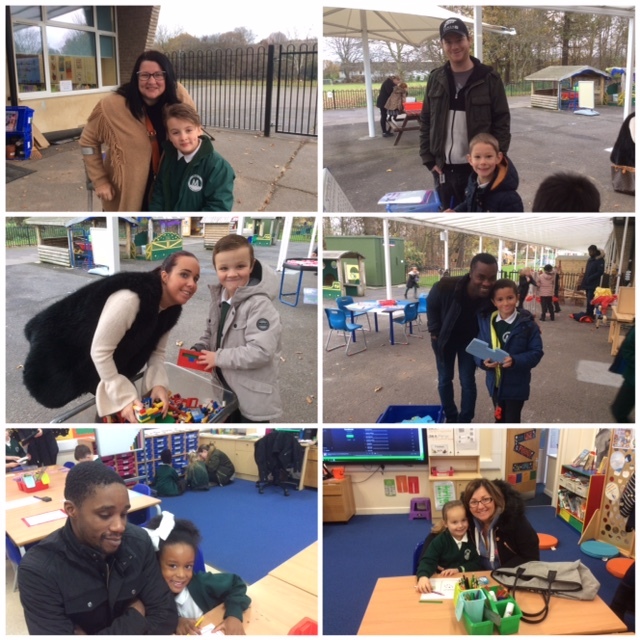 Reception are inviting parents to come and join us for our last reading morning of the term. On Friday 1st December from 8.30am we are asking parents to come and join their child in their classes for at least 5 minutes reading a book to them or with them. As this will be the last reading morning before Christmas, we will also be providing some festive treats for you and your child to enjoy. 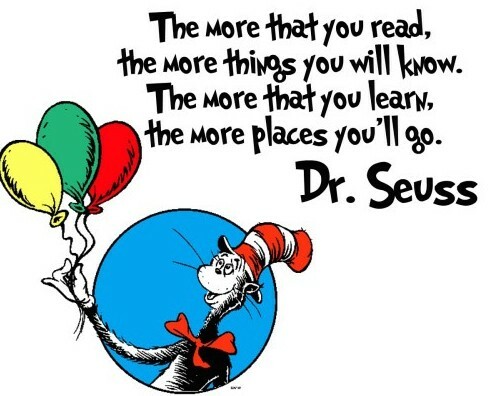 We are continuing to promote a child's love of reading and we hope it will provide an opportunity for you to be able to share in this. Following our reading morning we will also holding our first stay and play (further information to follow). We very much look forward to welcoming you on Friday 1st. 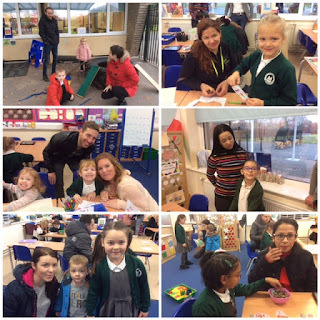 On Friday 1st December, we will be holding an open day for parents to come and spend some time in Reception with your child. There will be a range of Christmas related activities for you to do with your child and it gives a great opportunity for you to see all the fantastic learning that has been happening this term. 1.15pm-2.30pm. Please only attend one session. You do not have to stay for the entire session, if you can only stay for an hour that is fine, and Mums/Dads/Nans/Grandads etc are welcome. If you have younger children they are permitted to come in with you but please leave buggies outside. This is a great way to end their first term in Reception and we value your continued support. Please save the date to your diary so that you don't miss out on this very special opportunity to interact with your child whilst they play and learn. Bring an adult to school day in Year 2! In year 2 we are having a showcase morning tomorrow. You can bring your child into school and complete some of their jobs and activities with them. Please come along and see what learning looks like in year 2. Thank you to all that have purchased books from our Nursery book sale. The last day of the sale will be Wednesday so if you are waiting to get books now is your last chance. If you are waiting for books that you have ordered these will be arriving soon and we will let you know when we have them. Thank you! As Christmas is approaching fast it is time to prepare for our Nursery Christmas concert. Every year the Nursery children learn a range of Christmas songs and perform them to their families. 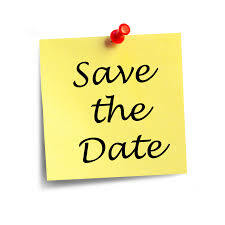 The Nursery concert will be held on Friday 15th December at 11.00am. ALL children (AM, PM, 30 hours and 2 year old) will need to attend the morning session, starting at 8.30-8.45am. This will be held in the KS1 hall and parents/family members can come to watch the show. This a very special time for children as we will be working hard to learn all our Christmas songs. Please organise at least one family member to attend the concert as children become distressed if they can't see someone they know in the audience. As this is the first year we have had 2 year old children in our Nursery, they will be included in the concert but only for a short period of time. 2 year old children will join in with one song at the beginning of the concert, and if they wish to leave the stage to sit with their families to watch the rest of the show they can do. There will be mince pies to enjoy with your children once the concert has finished. All children and parents leave after the concert. There will be no afternoon session on this day. Children to wear Christmas jumpers as it is also Christmas jumper day! Please make sure any hairstyles are low down as children will be wearing hats. The afternoon Nursery children had a great time walking to the postbox to post their letters to Santa. Here are some pictures of us out on our walk. Remember to watch out for the reply from Santa coming through your door soon! The morning Nursery children are back safely from walking to the postbox. All the children had great fun posting their letters to Santa and we even saw the postman out on our travels. Remember to watch out for your replies from Santa soon! This week Jessica Iancu, Wilson Hunt and Francesca Hurt were all star writers in year 4. They all created their own version of 'The Magic Box' poem by Kit Wright. The children were able to use various poetry techniques which include: onomatopoeia, repetition, similes and personification. Here are the spellings for Year 4 this week. The children will have their test on Friday 1st December. Please encourage your child to practise their spellings for 15 minutes every night. Seeing Roger Federer was incredible. I saw him win Wimbledon this year. His tennis was so effortless. The doubles matches were so entertaining to watch. Without super fast reactions you would struggle to compete as the ball comes at you so quickly! To continue our topic of ‘Celebrations and Patterns’ our focus story this week will be “The Jolly Christmas Postman”. This will run alongside the very important job of writing letters to Father Christmas. The children will also think about the fairy tale characters that are visited by the postman. We will continue the teaching of phonics, each week we will send home the sounds we have learnt, these are sheets for you to complete at home, to support your child. Please note they do not have to be returned to school. 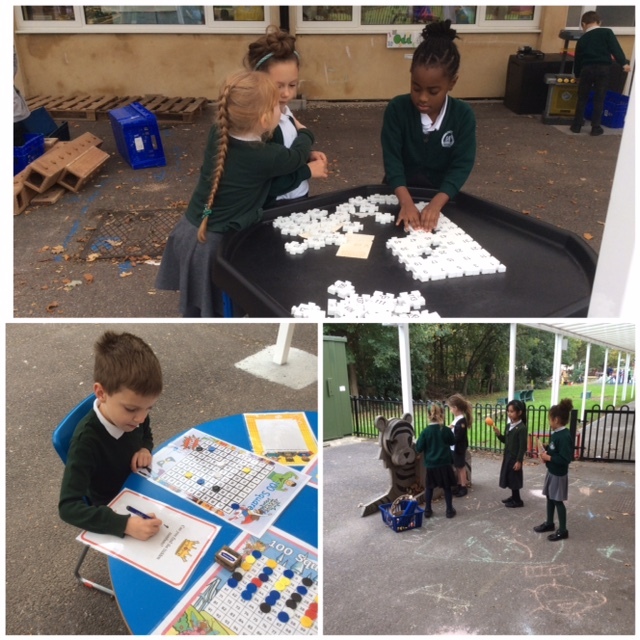 In our maths sessions we will be starting work on early addition. Our PE day is Wednesday please ensure your child has a named PE kit in school. If your child wears earrings please make sure they are removed on this day. Emilie Balciunaite, Reinaldas Kucinas, Agata Deptuch and Marziyah Raza have been working hard at home and extending their knowledge through their learning challenge work. 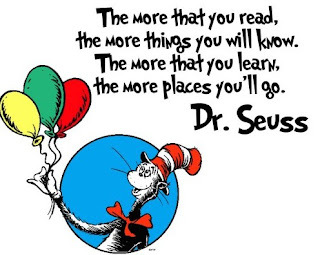 Read, Read, Read Year 2 ! 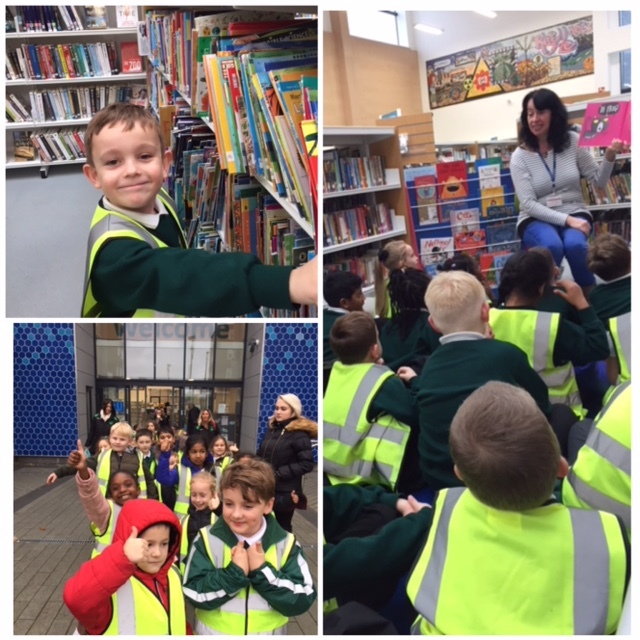 Year 2 have started their library visits to Hilldene library. We learnt about the different types of books that we read. These included board books, picture books, learn to read books, chapter books and non-fiction books. We had the chance to listen to stories. You can borrow books from the library with your own library card. "I love visiting the library and borrowing books" said Jackson.
" Books are amazing and there are so many" said Riley. Well done to Rehaan Khaliq, Ibrahim Javed and Lenny Hurt who have presented their work beautifully; They have shown pride in their work and taken care with their handwriting and number formation. Valentino Solanke in Jamaica-For trying hard to learn his letter sounds in class. Ivan Coleman in Kenya -For working on his times tables at home all week. Austeja Paulauskaite, a pupil in Madagascar class joined our Wow winners to show the 2 bronze medals she won at a recent jiu-jitsu competition. Well done Austeja! Silver Tracker certificates are awarded to Logan Hallwood, Maisie Flower, Jessica Paris and Angel Adjei. Well done to them! Safiyya Al-Azami receives a Gold Tracker certificate in recognition of the fantastic effort she has made in learning. Niharika Sharma is one of the first pupils to complete the platinum tracker-A massive well done to her. Lucas Grigore, Shomari Francis Deborah Dimoriaku, Abdullah Mohammad and Molly Dodd receive a certificate for reciprocity, Rolex Lufuki, Alexa Dormer, Jessica Shorter and Sarah Adeyemi for reflectiveness. Well done to Elena Enciu, Ronnie London, Sydney Spiers Green , Jason Bajraktarki, Rosie Nash and Uzoma Anyiam who receive certificates for resilience and Joshua King, Ina Monterio Barry and Martin Faulkner who have shown they can be very resourceful in school. These children have used a range of powerful vocabulary and techniques to become a Star Writer;Matteo De Angelis, Alexis Wood, Natas Navickas, Elise Varghese, Adam Idir, Ronnie Archer, Jay-Jay Foyster, Lucas Grigore, Marcel Kalinowski, Samuel Ajayi, Kristupas Kulsinskas, Agata Deptuch, Jessica Iancu, Wilson Hunt, Francesca Hurt, Chase Safo Kwakye, Tatiana Hakeem, Hayden Watson, Matthew Dunn, Faiza Hussain and Angel Adjei. The following pupil have read 10 books and receive a bookmark for their efforts, Bogdan Cojan, Dev Patel, Lottie O’Connell, Eleni Burbidge, Junior Williams, Daniel O-Akimyomilo, Haydar Garip,Alisa Bespalovaite , Aronas Ivaska, Lennon Chambers, Rehan Riyaz, Jay-Jay Foyster, Millie-Rae Edwards, Teddy Gain and Taylor Wadge. Maya Adochitei, Alexis Wood, Sophie Thompson, Carter White, Victoria Adamu-Adegberro, Riley Rogers, Fawaz Babalola, Emily Garip, Charlie Wisniewski, Alexandru Ciobanu, Emilie Balciunaite, Emilia Firszt, Mia Golding, Reinaldas Kucinas, Kira Staniforth,Lukas Norkus and Grace Allen have achieved bronze reading awards for reading 25 books. Silver Reader awards go to Sophia Mitchell and Kellis Solanke who have read 50 books. They each receive a silver certificate and a £5 book token for their efforts. Siddiek Harris has read 75 books and he gets a book of his choice for his fantastic effort.